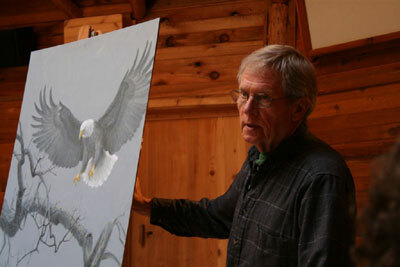 Wendy Palmer recently attended the Master Artist Seminar presented by world renowned wildlife artist Robert Bateman ~ Canadian Artist, Environmentalist and Naturalist. 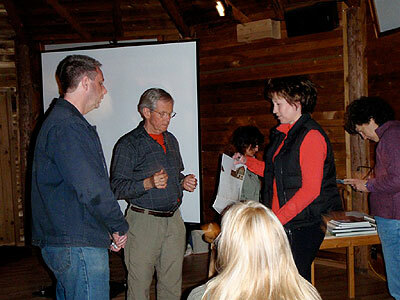 Wendy experienced this seminar as a life enhancing event, wihch taught her about art history, techniques and the publishing aspects of the art world. 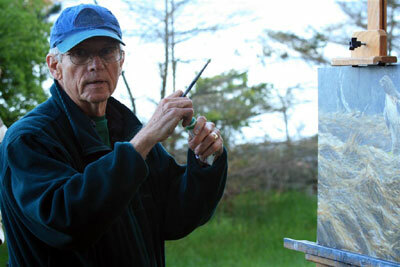 The seminar confirmed the validity of her painting style, composition and techniques. 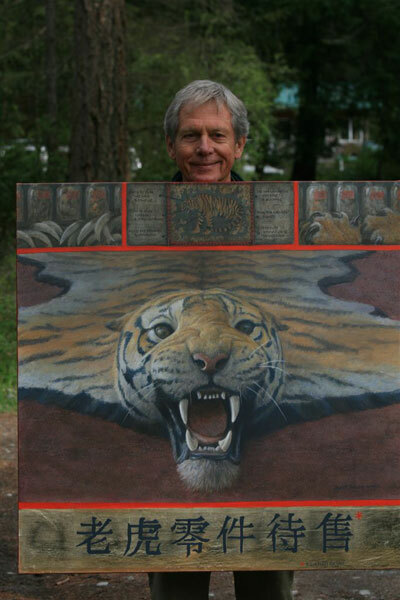 Robert Bateman is a natural teacher and storyteller, whom generously desired to impart all of his years of experience and knowledge of painting to the students attending this seminar. 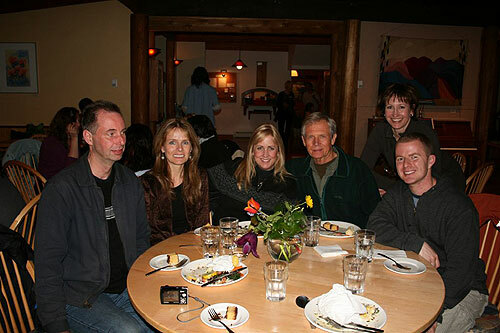 Wendy was extremely grateful for the opportunity to participate with such a pleasant and genuine mentor. 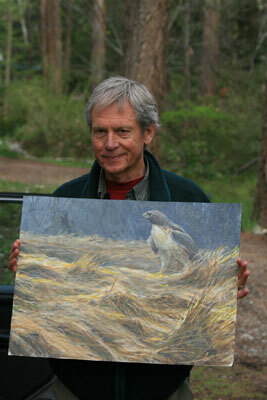 Here are a few pictures of this event on Cortes Island, British Columbia, Canada. 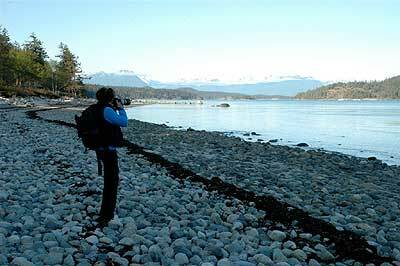 Wendy Palmer photographing Bald Eagles on beautiful Cortes Island, B.C. 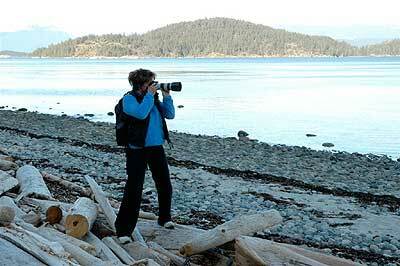 Wendy Palmer photographing the Twin Islands from Cortes Island, B.C. 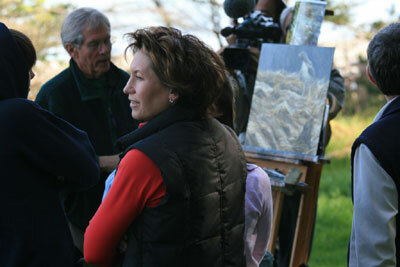 Wendy Palmer at Robert Bateman's outdoor painting demonstration. 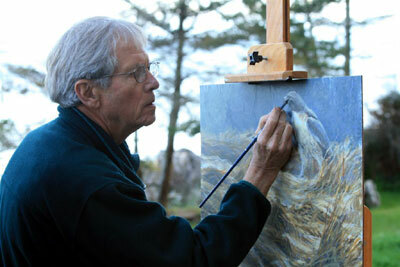 Robert Bateman demonstrating his painting techniques. 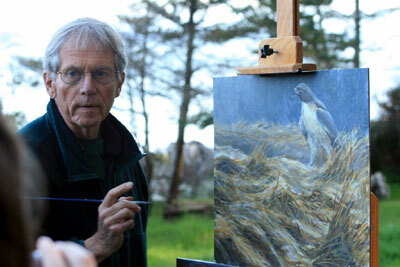 Robert Bateman provides an artists insight to students regarding detail. 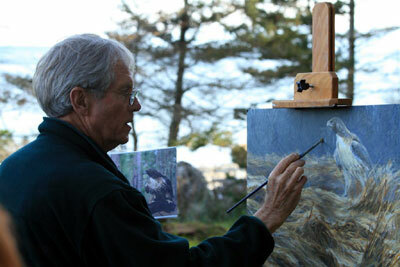 Robert Bateman demonstrates detail technique. 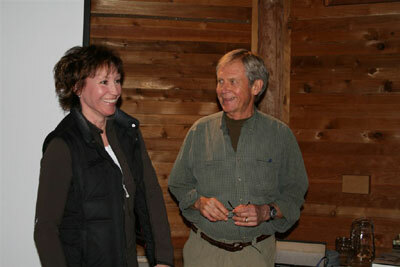 Wendy Palmer and Robert Bateman pose for a snapshot. 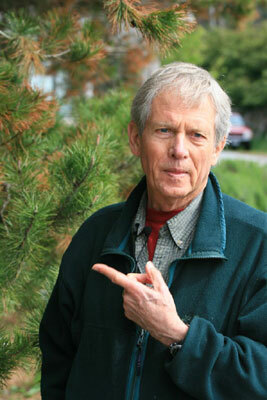 if You think it, it will come!